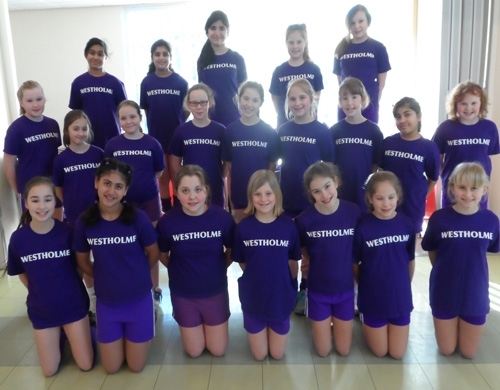 On Sunday 12th January, Westholme girls yet again turned out in force for the second round of the Indoor Sportshall competition at Stanley Park, Blackpool. All girls showed determination and a competitive edge. Outstanding results came from Imogen Haworth and Katie Backhouse who jumped 33 and 34 centimeters high respectively. Also Stephanie Atkinson and Sophie Waddicor jointly won the chest push with a throw of 5.5metres. Finally Molly Moore won the long jump with a fabulous jump of 1.92 metres which not only won the competition on the day, but gained her selection for the Lancashire team in the regional championships. At these championships, held in Manchester, Molly recorded more outstanding results of 1.85 in the long jump, 11.2 seconds in the 1 lap race and 14.2 seconds in the high stepper. We certainly have a high flyer to be proud of.